For all of X Japan's worldwide fame, like most Americans, before watching We Are X, I had basically no knowledge of the band. My only interaction with them took place at New York ComicCon, on the eve of the major Madison Square Garden concert that's central to the film. I had been offered the opportunity to interview their leader, Yoshiki, but passed, having nothing to really talk to him about. Walking around the show floor, I noticed a huge crowd around a stage. I asked someone on the fringes what was happening and they said, breathlessly, "X Japan." I nodded, not really understanding, and went on with my day, unaware of the immense stardom I was casually dismissing. If there had been a We Are X before then, I would have known I could have chatted with one of the biggest music stars in the world. But, without that MSG show, there would be no movie, as the film tracks the band through four days of preparation for the big night, and weaves the group's history around that framework. Going all the way back to their childhoods and tracking their ascent through the ‘80s and ‘90s, to the top of Japanese music royalty, while documenting the successes, stumbles and tragedies along the way. The star of the show is, without a shadow of a doubt, Yoshiki. Though he is at the back of the stage, tucked behind his drum kit for most performances (taking a more central role when sitting behind the piano for the group's ballads), he is a bonafide superstar and the force behind X Japan, writing the music and acting as their most public face. A picture-perfect rock star, thanks to his stylish hair, delicate features and showman's personality, he's also an ideal subject for a documentary, as his life has been filled with heartbreak and sorrow, while he fights nearly non-stop pain from the physical strain of his playing technique and ferocity. 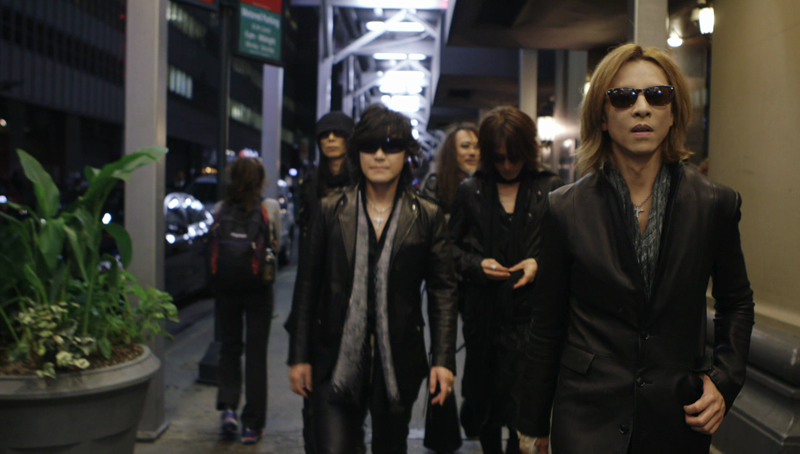 Beyond Yoshiki's personal story (which bleeds into the history of the band, which has experienced drama, controversy and loss over the years) X Japan was a great choice for a documentary as practicers of "visual kei", a genre of music where the group's look is as important as their music, with live shows marked by spectacle and extravagance (not unlike KISS.) As a speed metal band influenced by the glam hair metal movement, the archival footage of X Japan is something to behold, with over-the-top costumes and even wilder hair, while even in their modern incarnation they are not exactly shy and retiring. Director Stephen Kijak (Stones in Exile and Scott Walker: 30th Century Man) and his crew matched the band's visual style with kinetic camera work and dynamic motion graphics to make for an insightful and exciting look back and behind the scene. Using the four-day countdown to the show (and an ailing Yoshiki) to establish a ticking clock and a structure, the film efficiently moves through X Japan's history, spending time where needed to tell the story, but never lingering long enough to feel slowed down. Concert and performance footage is sprinkled liberally throughout to inform the uninitiated, while also establishing tone, thanks to the expressiveness of the group's often anthemic songs and lead vocalist Toshi's outstanding range. Impressively, throughout the down times and over the course of the film's brisk 95 minutes, the energy never feels like it's dipping. To be able to hold an audience's interest in a documentary about a band whose songs are completely foreign (no pun intended), is the sign of a film well made. 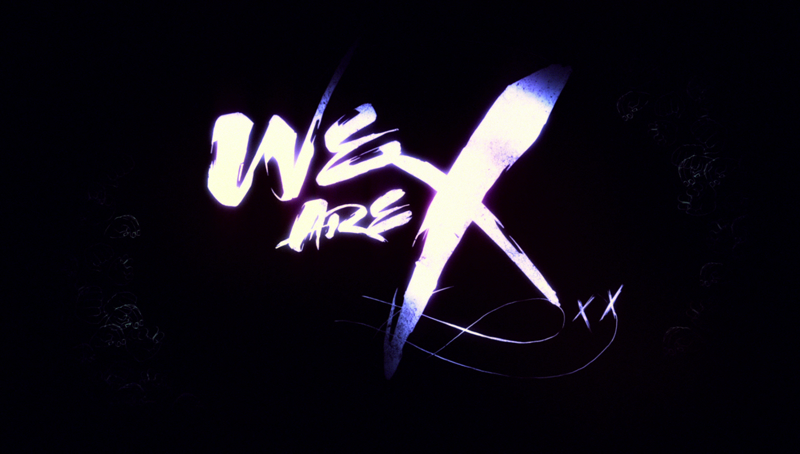 Magnet's release of We Are X arrives on one disc, held in a standard Blu-Ray keepcase. The Blu-ray offers an animated menu with options to watch the film, select scenes, adjust the setup and check out the extras. There are no audio options, but subtitles are available in English SHD and Spanish. 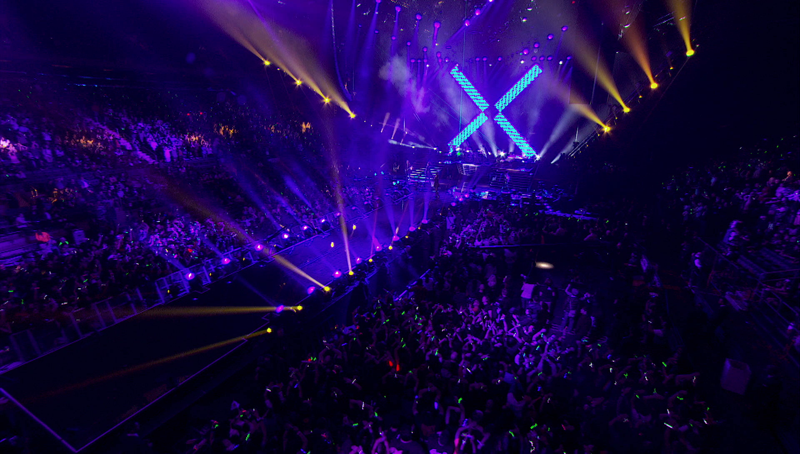 The audio, presented as a 5.1 DTS-HD Master Audio track, is just what the doctor ordered when it comes to presenting X Japan's driving rock music, as the low-end carries the weight and the surrounds fill out the room to just crush the scene. Dialogue is a center-channel affair and easily understood there (at least for the portions which are usually understood by my English-hearing ears) while the surrounds do the work when music is present or in crowd scenes (like the big concert scenes at MSG.) After suffering through too many music documentaries with 2.0 soundtracks, there's no reason to complain here. Up first is 19:32 of deleted scenes, including an interview with the creator of Hello Kitty (who looks pretty much like you might expect), footage of Yoshiki at Hello Kitty Con (in support of his Hello Kitty character), his appearance at the New Economy Summit and Yoshiki revisiting his hometown. None of it was really integral to the film, but they add some bits and pieces to the Yoshiki story. Deleted interviews (34:44) with Yoshiki, Toshi, and three other band members (Pata, Heath and Sugizo) are available to view separately or all at once. Yoshiki's is naturally the most interesting, but there are some interesting nuggets to be found, as they answer silly, somewhat generic questions, as well as touch on the origin of the band name and the bandmates they lost. "Yoshiki on We Are X" is a series of promotional videos (10:02), in which the drummer discusses a variety of topics related to the film. There's not much crossover with the rest of his clips, so fans will want to check these out as well. Two songs from the band's Last Live Performance (a huge concert held earlier in their career) are available to watch: "Forever Love" (7:55) and "Kurenai" (7:13). These performances allow you to understand why they have earned their devoted fanbase, with the hyperemotional theatricality of ‘Love" and the rapid-fire feel of "Kurenai". A fan-focused video for "Born to Be Free" (6:07) is also included, which salutes the band's loyal followers from around the world. Like any good movie that boasts a fantastic soundtrack, We Are X may be cheating a bit thanks to the presence of X Japan's music, which helps manipulate the viewer, but even so, the story is engrossing and Yoshiki is a tremendous lead subject, which Kijak and company don't let go to waste in an expertly-structured introduction for the western world. Magnet's delivered the film is quality, and added in a decent amount of extras to expand the experience (which will delight the band's fans.) Anyone into X Japan will need no convincing, but newcomers (especially fans of ‘80s hair metal) should check out this great story and terrific band.